No other musical artist gets my blood pumping and feet moving at the gym quite like Kanye West. In fact, I was listening to the tracklist below just yesterday as I ran on the treadmill. Narrowing Kanye’s catalog down to fit on a single CD for my 30 at 30 project was no simple task, but the finished project makes for a fantastic, frenetic mix perfectly suited to serve as the soundtrack for a day at the gym. For the opening track I chose “Good Morning,” which offers a fitting message to wake up the mind and a good beat to warm up the body. It was one of five tracks I selected from West’s 2007’s album Graduation. Track two is arguably West’s most inspiring track ever, “Through the Wire.” As the debut single from his 2004 album The College Dropout, “Through the Wire” was West’s introduction to the masses, including me. Not since Eminem‘s “My Name Is” had I been so blown away by a new rapper. What made it even more impressive was the song’s backstory. West wrote and recorded “Through the Wire” with his jaw wired shut after suffering a car accident in October 2002. The story was played out through the words of the song and in the video that accompanied it on MTV. (Yes, MTV still played music videos back then.) Perhaps the most interesting thing about the video is the introductory message that identifies West as a “Grammy nominated producer” rather than a rapper. With this song, that was all about to change. We are all here for a reason on a particular path. You don’t need a curriculum to know that you’re a part of the math. Cats think I’m delirious but I’m so damn serious. That’s why I expose my soul to the globe, the world. I’m trying to make it better for these little boys and girls. I’m not just another individual. My spirit is a part of this. That’s why I get spiritual. But I get my hymns from Him. So it’s not me, it’s He that’s lyrical. I’m not a miracle, I’m a heaven sent instrument. for your soul and your mental. That’s why I’m instrumental. Vibrations is what I’m into. but that ain’t what gives me the heart of Kunta Kinte. I can’t stop; that’s why I’m hot. When I say I can’t let you or self down. in my grip, I would never ever let you down. with a language called love. I too dream in color and in rhyme. By the time track six hits, workout mode is fully engaged. “All of the Lights,” from 2010’s My Beautiful Dark Twisted Fantasy, is a powerful anthem equally fit to fire up a stadium crowd before a big game or an individual before a workout. West’s 2013 album Yeezus was his most controversial release to date. West himself described the album as “a protest to music.” The songs are agitating, abrasive, and antagonistic, undeniably fueled with a fervent IDGAF flavor. No song packs a punch quite as hard as “Black Skinhead,” the seventh track on my compilation. Lyrically, musically, and visually (via the music video), West makes a powerful statement. It’s impossible to watch/listen and not have some type of reaction; at the same time, this song gets the adrenaline pumping and keeps the workout going strong. Track 8 comes from 2011’s Watch the Throne, the collaborative release between West and Jay-Z. The song samples a line from the movie Blades of Glory. Will Ferrell’s lines “No one knows what it means, but it’s provocative… it gets the people goin'” is an apt description of many hip hop lyrics, including this track. Track nine needs no explanation: “The New Workout Plan” works just fine. The next three tracks work well together despite coming from three different albums. “Power,” “Stronger,” and “Touch the Sky” all provide the listener with a similar sense of internal motivation as the workout grinds on. Track 13 is the feel-good groove “Good Life” that features T-Pain. It’s hard not to feel good vibes listening to this song, and the laid back beat is a welcome change of pace after the intensity of the previous run of songs. Track 14, “Amazing,” is the only track that made the cut from 2008’s 808s & Heartbreak. The album was a departure from much of what West had done previously. On the album Kanye favored singing over rapping and relied heavily on Autotune. 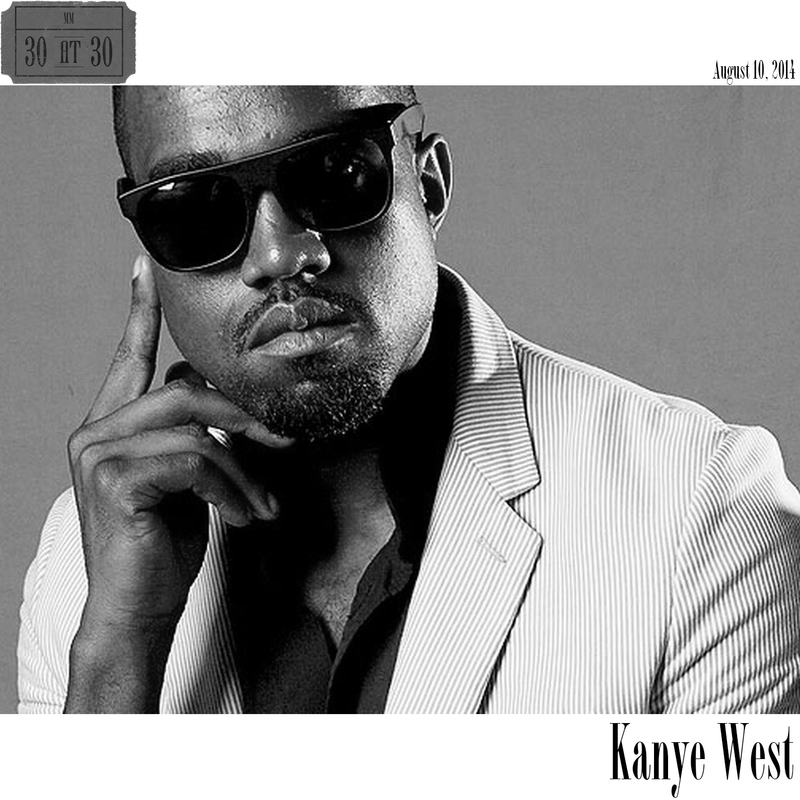 In my opinion, some of the tracks worked better than others, but West’s willingness to experiment and break the mold is part of why he is one of the most important and innovative people in music today. Track 15 is “Champion,” a fitting moniker for anyone approaching the end of a workout. That is followed by “Jesus Walks,” the final track from The College Dropout to make an appearance. This is an excellent example of West as a straightforward rapper, tackling a topic others might shy away from head on. The beat is something special, too. Speaking of rapping, Jay-Z and Kanye both deliver in a big way on the “Diamonds From Sierra Leone” (Remix), which is track 17. The mid-verse transition from West to Jay-Z at the 2:25 mark is unique and awesome. This song also serves as the final workout song, and Jay-Z’s final “goodnight” is an appropriate transition into the final cool-down portion of the workout. As much as I enjoy intense, in-the-heat-of-battle, workout mode Kanye, I also love his ability to chill out and rhyme smoothly over a slow beat like he does in track 18, “Everything I Am” from Graduation. If you prefer the more laid back Kanye, I recommend listening to “Family Business” as well as the full 12:41 of “Last Call” from The College Dropout, which details his journey to Roc-a-Fella Records. Also, check out”Hey Mama” from Late Registration and “Big Brother” from Graduation and my newest favorite, “Only One” (featuring Paul McCartney). The final track is another Jay-Z collaboration featuring a hook from Frank Ocean that I dare you not to sing along with. “Made in America” is lyrically strong and worth a closer look. It is an inspirational song that explores several relatable themes, including family, the struggles of youth, and the American Dream. Congratulations, Kanye. You made it in America, all the way to number four on this fan’s list of favorite musicians.